Residents of Monroe County said “Hello Yellow” Saturday morning when they welcomed in the Forsythia Festival with a Yellow Pancake breakfast. 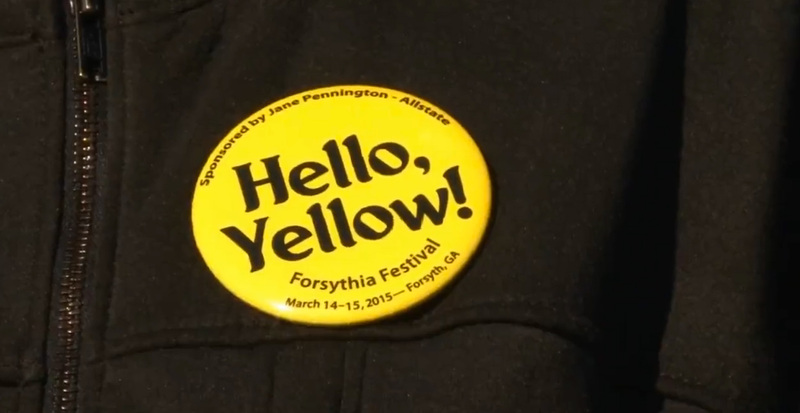 The purpose was to get people in a yellow state of mind ahead of the Forsythia Festival. Proceeds went to the Monroe County Emergency Services Support Auxiliary. They’ll use the money to honor first responders contribution to the County. Peggy White was also at the breakfast, painting forsythia bushes on cars. You have probably seen White’s work. She’s been painting cars in central Georgia for almost 30 years. White says she enjoys painting cars because she loves meeting people.